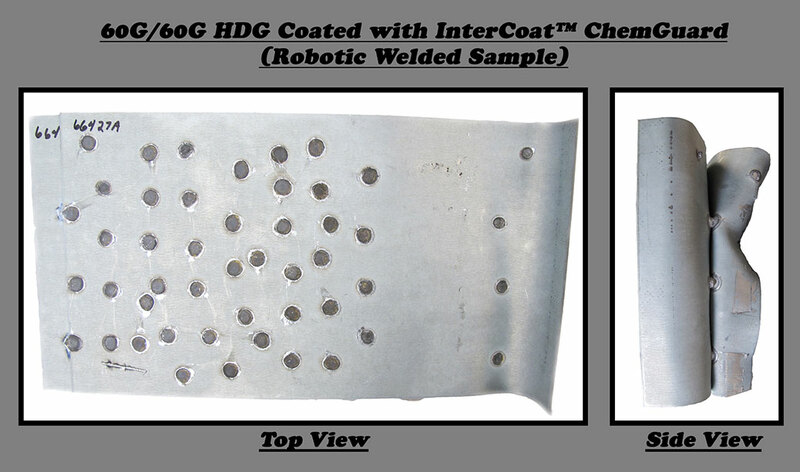 Years of testing and development of Intercoat™ Chemguard, using InterReactive™ Coating Technology have proven that this coating represents a significant leap forward in protecting galvanized steel products from corrosion. 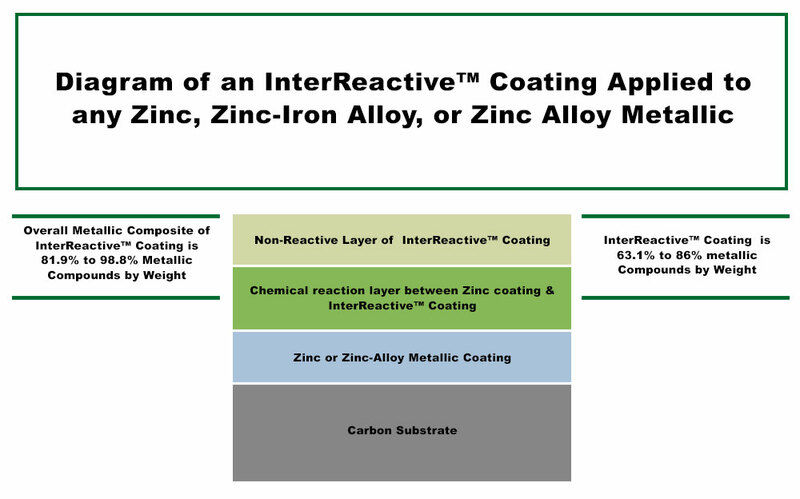 InterReactive™ Coatings can be used as a stand-alone corrosion resistant coating applied to any zinc, zinc-iron alloy, or zinc alloy metallic coated substrate. It can also be applied as a Hybrid Primer that greatly enhances corrosion resistance and improves adhesion of prepaints, post paints, adhesives and powder coatings. Lubricity additives can be added to increase the formability through the roll formers or stamping dies, therefore improving productivity, increasing tool life and reducing the level of wet lubricants used. Better formability, less maintenance, and lower use of lubricants mean reducing the overall cost of manufacturing. Excellent cut edge and scratch corrosion resistance. At 1500 salt spray hours there is no edge rust.